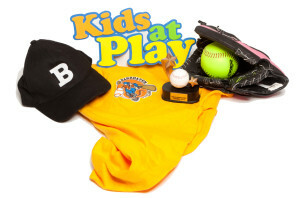 You can be part of a long tradition in Barrhaven – Tiger Softball and T-ball! Our name says it all… we are a league dedicated to ensuring that your 650+ children have a great time learning skills, making friends and staying active. We have operated as a not for profit, 100% volunteer run league for over 30 years. It strives to be the best value for the dollar. As Barrhaven has expanded players are now joining from all the surrounding smaller communities (the Barrhaven suburbs?). Our size is limited by the availability of diamonds in the neighborhood. The guiding principle of the league is “THE PLAYER ALWAYS COMES FIRST“. This will always be the first concern when decisions are made. In selecting teams our first two priorities are to allow players to be on the same team as their friends and to balance teams so that everyone feels like they have the chance to be successful. It is often difficult to balance the excitement of competition with the need to nurture players. It is critical that as adults we start our children down the right path. All parents are required to sign a waiver that you understand that the league has a zero tolerance for inappropriate behavior by players, coaches, fans or officials. We encourage all coaches to show “local initiative” to maximize their team’s experience. Each team works somewhat like a fast food franchise where the league dictates a menu and some basic standards and the individual teams are encouraged to develop their own personalities. Parents are critical in the development of this personality. Our league has a great reputation let’s keep it that way. All parents are invited to share the experience by helping out as coaches or by offering to help in other behind the scenes volunteer jobs. Without such involved parents none of these players could play softball this year. The cost of playing has been reduced to $50 for Tball and $75 for all other divisions. This price includes the league photos. Please refer to the Registration page for more information, including the in-person registration times and dates.